Integrity First, Service Before Self, and Excellence in All We Do are the guiding core values by which the United States Air Force Academy builds strong leaders of character for our Air Force and the nation. With the core values as the framework, cadets train in the four “pillars of excellence”: military training, academics, athletics, and character development. 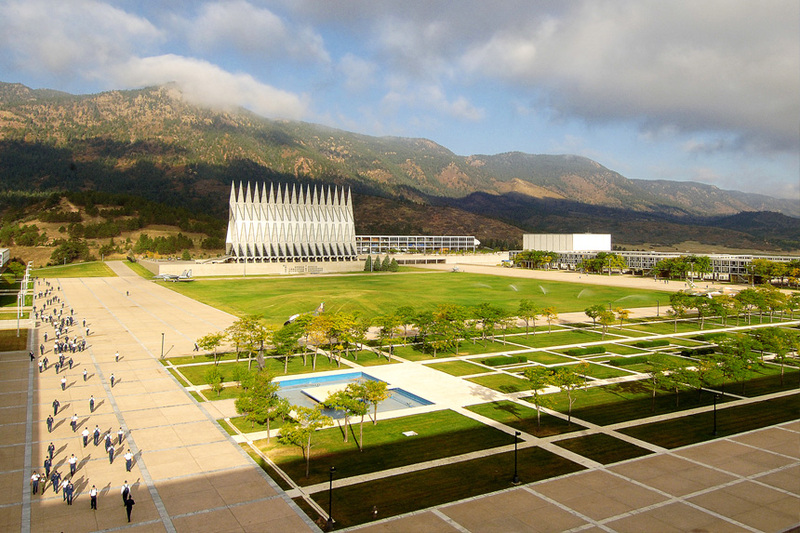 The Air Force Academy is the youngest of the five United States service academies and has a unique dual role as both a world-class university and an Air Force installation. U.S. News & World Report ranks the Academy among the top 30 best liberal arts universities in the nation. Graduates of the Academy’s four-year program receive a Bachelor of Science degree and are commissioned as second lieutenants in the United States Air Force. The 10th Air Base Wing provides logistical, medical, fire response, security, civil engineering, family care and medical support across the 18,000-acre installation for a community of approximately 25,000. The Air Force Academy is excited to partner with the Stamps Family Charitable Foundation to recognize and reward exceptional cadets with the opportunity to participate in international leadership development programs, pursue undergraduate research, and attend academic or co-curricular conferences. This partnership allows the Air Force Academy to offset the financial requirements of the programmatic opportunities given to cadets, allowing for USAFA funds to go further in support of the cadet experience. USAFA’s Stamps Scholars will be nominated from the top 5 percent of academic performers in their class and known by their peers, professors, and trainers for exceptional leadership qualities. Funding from the Stamps Family Charitable Foundation strengthens the Academy’s mission of building leaders of character. For more information, please visit the Air Force Academy website here.